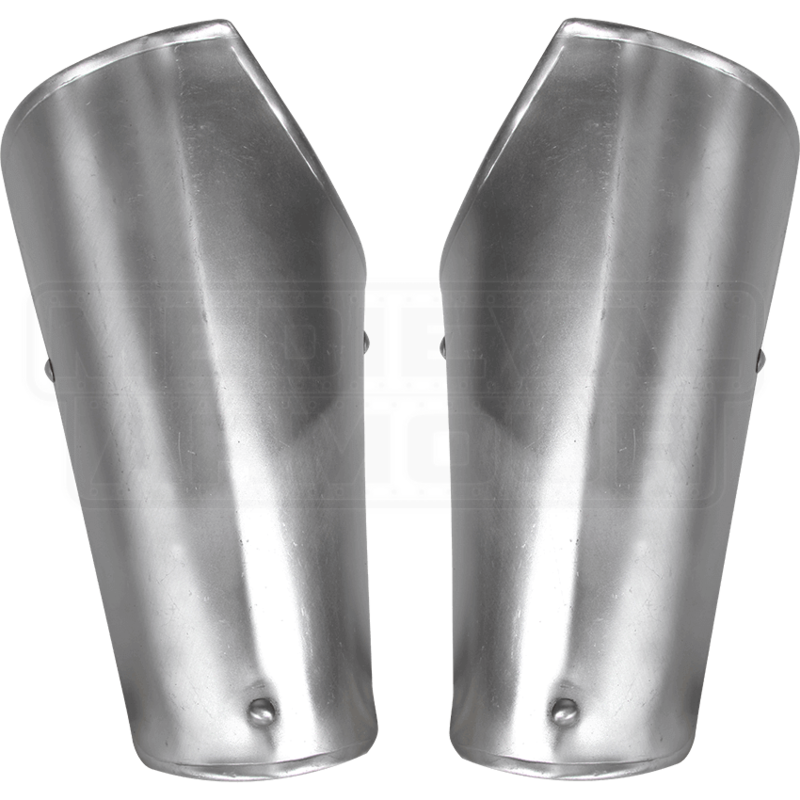 Named for the infamous Harald Bluetooth of Denmark, the Steel Harald Bracers make a fantastic addition to your LARP armour. The steel bracers feature a central bend running down the front, adding strength and stiffness to the design. The arm armour shows off a bright metal finish that goes well with other pieces of our medieval armour. Rivets and edge detailing provide a few unique elements to the plate armour, as well. The arm protection is securely fastened to the forearm with the help of two buckled straps. 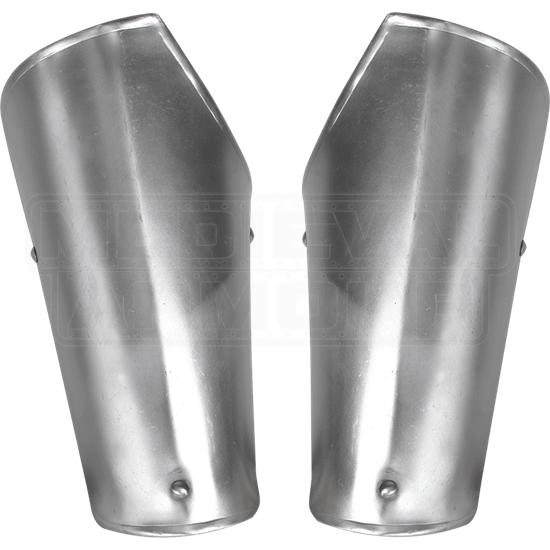 When planning your LARP ensemble, make sure to consider these excellent metal bracers! We recommend wearing padded arming wear underneath for increased comfort.